We’ve been glad to see how much you, our readers, are enjoying our Business Plans the Built a Billionaire series. So much so that we’ve decided to take the idea and run with it, honing in on some of the cleverest, most intriguing, and smoothest business proposals of all time. Keep in mind that the business proposals that make this list are not necessarily the biggest ever – they’re the ones we have found that we think you can learn from. So we’ve given each one an overview and a “takeaway tip” to help you relate the lessons to be gleaned to your own entrepreneurial activities. Here are four sales tips from some of the smoothest business proposals of all time. Two big names; one huge merger. You know it’s a big deal when the U.S. Government gets involved. That’s exactly what happened in 2006 when ATT&T and Bellsouth announced a planned merger. Not since the early 1980s, when the government famously busted up AT&T (“Ma Bell”) had the telecom giant attracted so much attention. The total value of the deal: $89 billion. Brokered by meetings between AT&T CEO, Edward Whitacre, Jr., and Bellsouth CEO, Duane Ackerman, the business proposal had to meet with not only the scrutiny of the United States Congress, but also with public sentiment. Combining the resources of these massive companies certainly brought about changes that have literally changed the way Americans use the Internet. Had it not been for the speed increases and rural Internet implementation brought about by this merger, the Internet in the USA might not have its current reach. Despite public outcry from some sectors at the time, the merger skated relatively smoothly through the legal proceedings. The Takeaway Tip: Don’t’ be afraid to pursue a “big” deal. Really, really, really big. Just remember that the bigger the business proposal, the more eyes watching you. Another massive telecom deal was struck in 2013 with the United Kingdom’s Vodafone’s sale of its 45% stake in Verizon Wireless to the United States’ Verizon Communications, which (as you might have guessed) already owns all the other Verizon stock. The deal is remarkable as it marks Vodafone’s exit from the US market, despite its CEO, Vittorio Colao‘s optimism. The buyout, though, according to an article on VentureBeat, is said to mostly benefit Verizon Communications, a company now positioned to take strategic decisions with greater ease, having shrugged off its foreign partner. Vodafone paid its shareholders with 70% of the revenue from the sale, the rest, it has put into improving its 4G accelerated network. What’s even more striking is that the fact that Verizon Communications purchased the Vodafone shares with credit extended by JP Morgan Chase. The total line of credit, according to a Verizon press release, is $61 billion. The mere fact that the banks are playing at this level (you know, in contrast to bailouts) tells us that the economy is truly, finally, happily, merrily recovering. The Takeaway Tip: Simply put, business is good; business is big. What’s stopping you from getting started on your next business proposal? You might say that this business proposal smooth move, though some have charged that it was actually the act of a “Smooth Criminal,” even though it was totally legal. In 1981, ex-Beatle Paul McCartney gave his then collaborator, Michael Jackson, a fateful piece of advice over dinner. Showing Jackson a book containing all of the song rights he owned at the time, McCartney infamously told Jackson, “”Every time someone records one of these songs, I get paid. Every time someone plays these songs on the radio, or in live performances, I get paid.” McCartney would eat those words in two years’ time. The King of Pop was not kidding around. You see, McCartney, who was worth an estimated $100 million at the time, did not own the rights to any of The Beatles’ songs he had helped pen. They were owned by ATV Music Publishing because the young McCartney and his equally legendary songwriting partner in The Beatles, John Lennon, had been duped in their original publishing contract and, by 1969, had forfeited their rights in exchange for terminating the contract. Come 1984, ATV Music Publishing was on the auction block. Out of the shadows, one time McCartney friend and collaborator Jackson came forward with a winning bid to purchase ATV for $47.5 million – along with the publishing rights to all of the classic Beatles’ back catalog. The deal meant that McCartney would have to pay Jackson every time he wanted to sing “Hey, Jude,” “Yesterday,” or any other classic tune he had written decades earlier. McCartney had previously attempted to get Lennon’s widow, Yoko Ono, to go in half on buying out AVT, but she declined the business proposal based on her estimate that the songs were not worth more than 20 million dollars. One thinks that Ms. Ono must regret that miscalculation, as The Beatles’ songs raked in a reported $1.25 billion for the year of 2012 alone – the total value being estimated at up to $4 billion. Jackson’s cut at the time of his death was $1 billion. 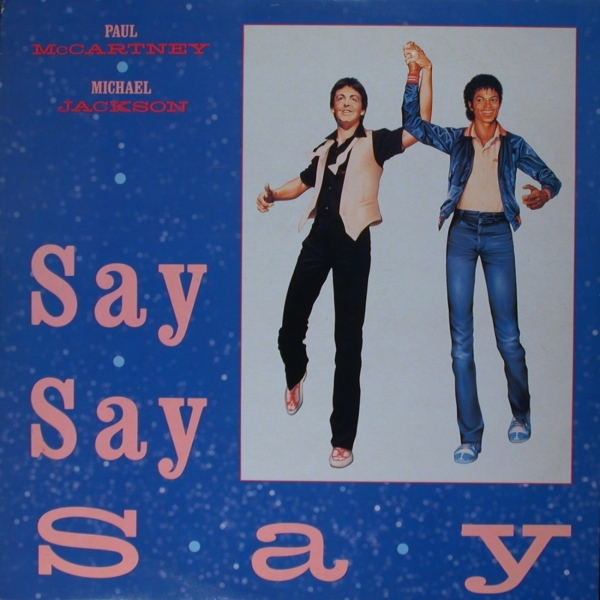 As has been famously reported in the media, the buyout resulted in the demise of McCartney’s friendship with Jackson. McCartney held on to his resentment from Jackson until The King of Pop’s death in 2009, when McCartney spoke favorably of the late Jackson and stated that he had come to terms with the financial double-cross. The Takeaway Tip: McCartney himself taught Jackson the ropes of music publishing rights. In this age when you are smart to be cultivating some form of passive income (loosely likened to music publishing royalties) it’s best to keep some things under your hat! Some intellectual property is worth sharing, especially since content is still king, but done forget to cover your interests! Smooth business proposal #4: Netflix. Just Netflix. Finally, we wanted to talk about Reed Hastings’ excellent stewardship at Netflix, but we couldn’t settle on just one thing. So we came up with a list of smooth moves Hastings has done to create the world’s biggest online streaming service. As if those moves weren’t good enough on their own, Hasting made one big gamble that will ultimately change the game. Hastings invested $100 million in House of Cards, its ultra-dramatic original political drama that debuted in 2013. If that sounds like a risky business proposal to you, think again. To make back the investment, it has been pointed out that Netflix will need to see a 10% increase in subscribers this year. So is that really all that daunting? Not for a company that saw a 13% increase in subscribers last year. Want more proof that the House of Cards thing is a good idea? In October of 2013, investing icon Carl Icahn sold his shares in Netflix and took home $800 million. Confident in his decision, Icahn bet his son that Netflix (after a 14 month gaining streak) would dip in stock value. So far, the elder Icahn has been wrong, with Netflix gaining all the way through the present. Icahn, in underestimating just how solid an investment Netflix really is, has already lost an additional $195 million or so. Ouch. The Takeaway Tip: You never know when your next great business proposal idea will strike. For Hastings, it was in the video rental store, on the receiving end of a steep bill for late fees. Talk about turning small-time lemons into lemonade. Netflix now has an estimated valuation of around $29.6 billion. Not bad for being born in a video store! Take a look at the businesses involved in this list. Even the oldest deal, the one involving the Beatles’ catalog, is worth billions, and that figure increases with each passing year. The newer entrants in this article are worth whopping amounts, and going nowhere but up (in all cases). With all this booming business, there’s never been a better time to polish some business proposals and take your business to the next level. So, dearest Quote Rollers, what are the best business maneuvers you’ve ever heard about? We’d love to follow this up with another round of eye-popping business moves, so please let us know in the comment spaces below.